"BLOW-OUT PRICE" 4 bedroom bungalow, nice living room, huge eat-in kitchen with open concept, 3 spacious bedrooms and full bath on main level. Full finished basement, recroom with dry bar, 4th bedroom and laundry area. 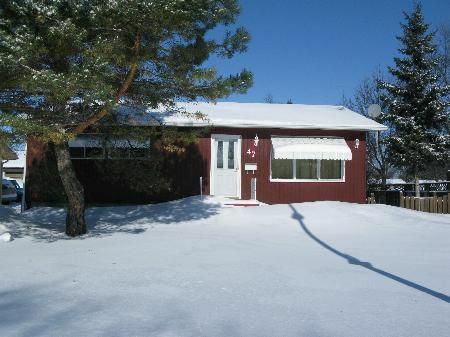 Nicely landscaped and fenced yard with single dethatched garage. Close to all amenities. Property needs some TLC.